The helicopter plays a critical role in humanitarian relief work, performing a number of important missions in times of need. Created in 2012, the Airbus Helicopters Foundation has chosen to focus on providing humanitarian aid and support emergency services. One of the Foundation’s strengths is its strong and coherent identity that fully embodies Airbus values. 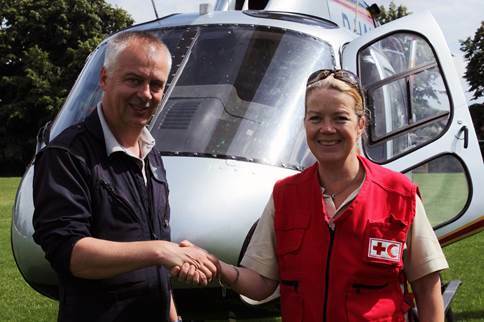 The Foundation provides support for actions in the general interest where the helicopter can be a truly valuable tool. 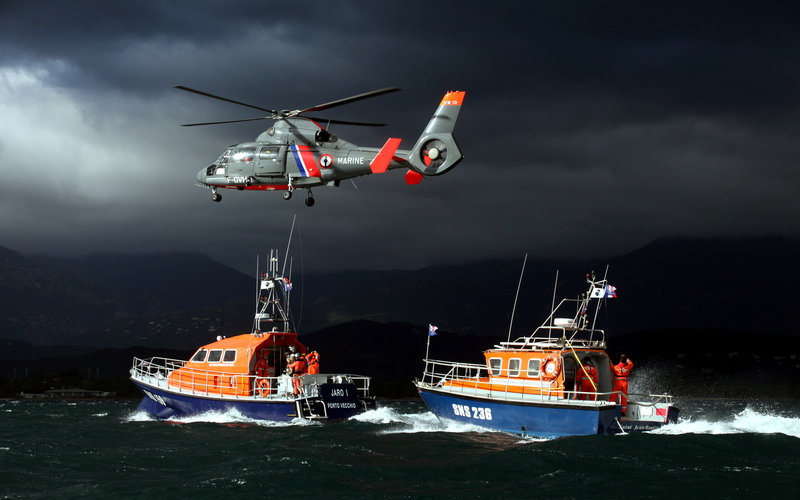 The mission of the Foundation is to ensure that people in distress all around the world can quickly benefit from the many types of assistance that only the helicopter can offer during crisis situations. by making helicopters available to humanitarian organizations operating on the ground in the hours immediately after disaster strikes (and with contribution from Customer Centers and Airbus Helicopters customers). 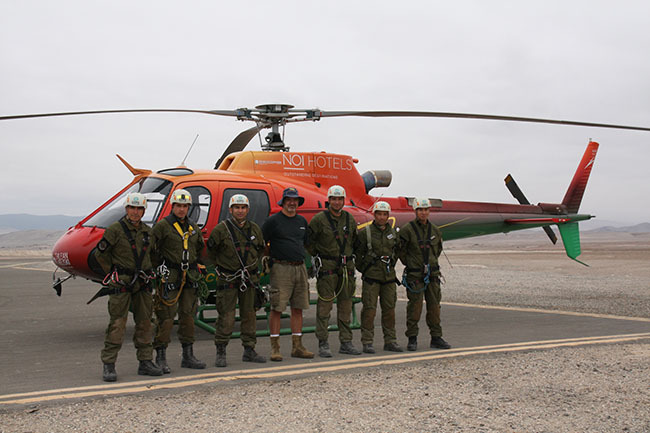 Providing assistance and expertise with the training of emergency response teams for their helicopter missions as well as supporting projects that help make their airlift rescue missions safer and more effective. The Airbus Helicopters Foundation focuses on supporting the humanitarian community, using Airbus Helicopters products and services, workforce and network. Romain Gauduchon: an expert in emergency management at the humanitarian office of the European Commission. Dr. Matthias Ruppert, an anesthesiologist, specialized in pre-hospital emergency medicine and Medical Director of the main German Helicopter Emergency Medical Services operator. The Executive Director is responsible for overseeing the day-to-day operations of the Airbus Helicopters Foundation with support from operational team. The Foundation team is backed by an international network composed of representatives from each of the Foundation’s 24 founding subsidiaries, located around the world. Whenever infrastructure is destroyed or communities are afflicted by severe weather, helicopters are the best option to save lives and alleviate suffering. The Airbus Helicopters Foundation lends its support to humanitarian organizations that provide on-site assistance immediately following natural catastrophes, such as floods and earthquakes, by quickly making helicopters available to them. The helicopter is a vital multi-purpose resource that can be used to assess the situation on the ground, transport teams and basic necessities, and locate people and bring them to safety. On 4 October, the eye of Hurricane Matthew, the most powerful hurricane on record in almost a decade, crossed the south-west of Haiti. Following the immediate aftermath, the Foundation has been able to provide within a few hours two H125s belonging to an operator from the Dominican Republic, for humanitarian purposes. A bigger helicopter (AS365) was also available when required. The first flight occurred on 5 October as soon as the weather permitted. Helicopters flights have been intense during the first 2 weeks after the catastrophe and used for emergency aid missions, transport of doctors and first necessity products and to assess the scope of the damage. 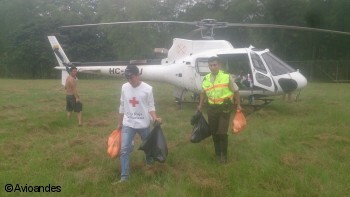 The assistance of helicopters was also crucial for helping to restore access to drinking water. The flights naturally slowed when land access to the affected areas improved .The Foundation has notably supported the IFRC and the French Foreign Affairs Crisis Centre in the frame of the relief actions implemented through the European Union Emergency Response Coordination Center. Airbus Helicopters Foundation has been providing support to on-going humanitarian relief efforts following the earthquake that hit Ecuador on 16 April 2016. Within 12 hours after the earthquake, Airbus Helicopters Foundation was able to identify a Quito-based H125 helicopter operator Avioandes and immediately put the helicopter at the disposal of the humanitarian agencies on the ground in order to provide a significant number of flights for Ecuadorian rescue workers, performing a high number of missions in the days following the disaster. The Foundation chartered an AS355 to perform a first assessment flight within the 48 hours in the wake of the catastrophe. Many other flights followed as the Foundation left the helicopter at the disposal of the rescuers for further assistance during 2 weeks. 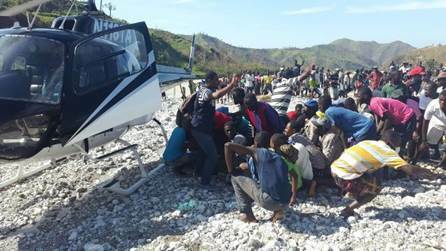 The helicopter helped notably to transport humanitarian workers to inaccessible villages and to carry more than 8 tonnes of humanitarian materials to the most severely damaged areas. These flights have also led to the rapid identification of the most badly damaged schools, revealing urgent need for repairs for around 100 of them before they can re-open. The Airbus Helicopters Foundation provided support to ongoing humanitarian relief operations in the small island nation of Dominica, in the Caribbean, which was hit with heavy rainfall and mudslides in the wake of tropical storm Erika. 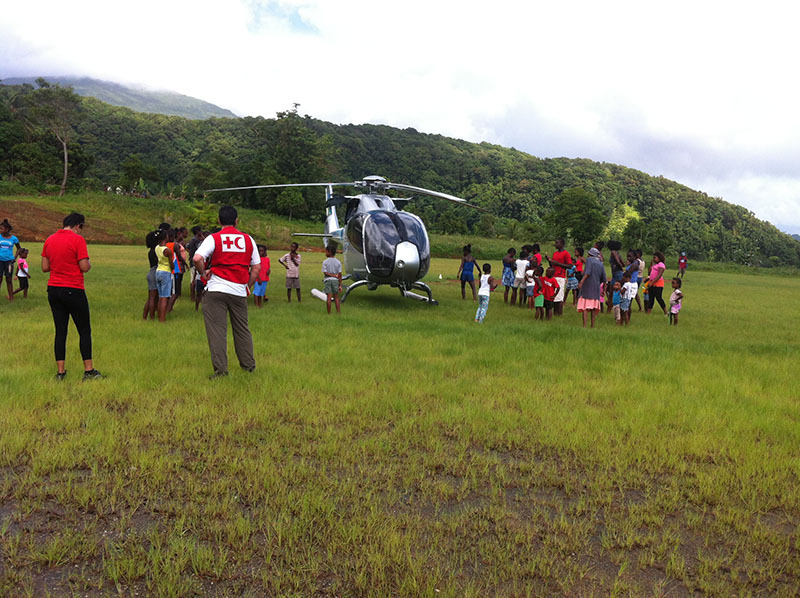 Chartering an H120 helicopter, the Foundation has been able to support assessment flights over the island in partnership with the Red Cross. The flights revealed that 8,000 people were without water supply. An H125 rotorcraft chartered by the Airbus Helicopters Foundation has joined rescue activity in Northern Chile’s Atacama Desert region, where the heaviest rainfall in 80 years has caused massive flooding and landslides. An H125 helicopter was flown to the affected zone, where it began transporting search and rescue personnel. This rotorcraft has also been available for flights to locate those trapped or isolated by the natural disaster. 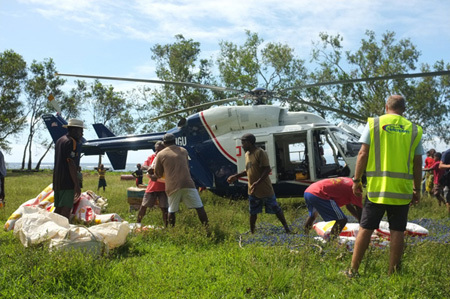 Further to the tropical cyclone Pam which severely hit the archipelago of Vanuatu, Airbus Helicopters Foundation has worked in order to provide necessary helicopter flight hours to humanitarian workers so they may reach communities in the most devastated areas of the archipelago. With few helicopters available locally to support the operations, the Airbus Helicopters Foundation has partnered with New Zealand operator in order to send an AS350 and a BK117 to help with the on-going humanitarian aid operation. In response to the catastrophic floods that have hit the Balkans, the Airbus Helicopters Foundation partnered humanitarian agencies in Serbia and in Bosnia, in order to help people stricken by the disaster. Answering calls for humanitarian relief, the team’s mission was to assist with evacuations and to identify and cordon off the areas worst affected by the adverse weather. The Airbus Helicopters Foundation made an AS355 helicopter available, which was used for transport purposes and to assess the situation in areas that are no longer accessible by road. 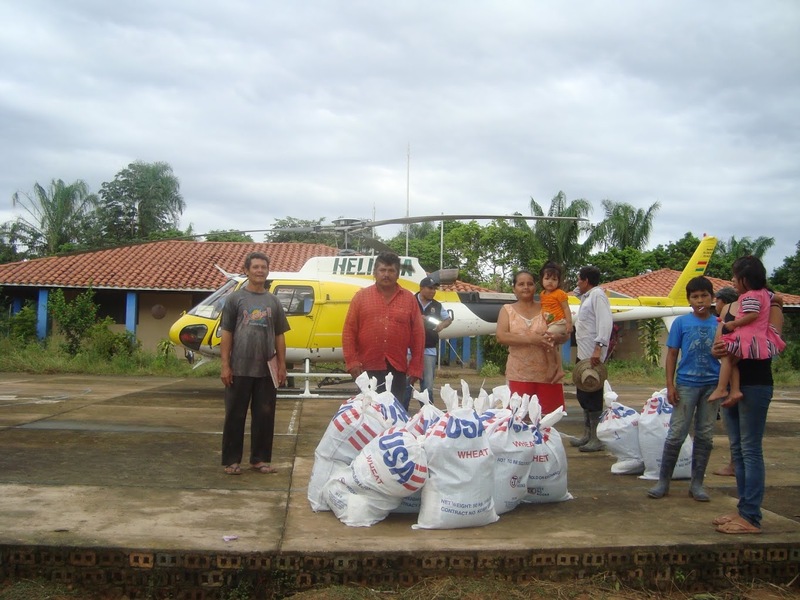 In order to respond to the needs of Bolivia’s flood-ravaged population, where torrential rains left many people dead and homeless, the Airbus Helicopters Foundation took measures to assure helicopter support to first aid operations on site in February and March 2014. The helicopter provided by Airbus Helicopters Foundation, an AS350 B3e, has assisted in the evacuation and transport of the wounded and the distribution of food and water. 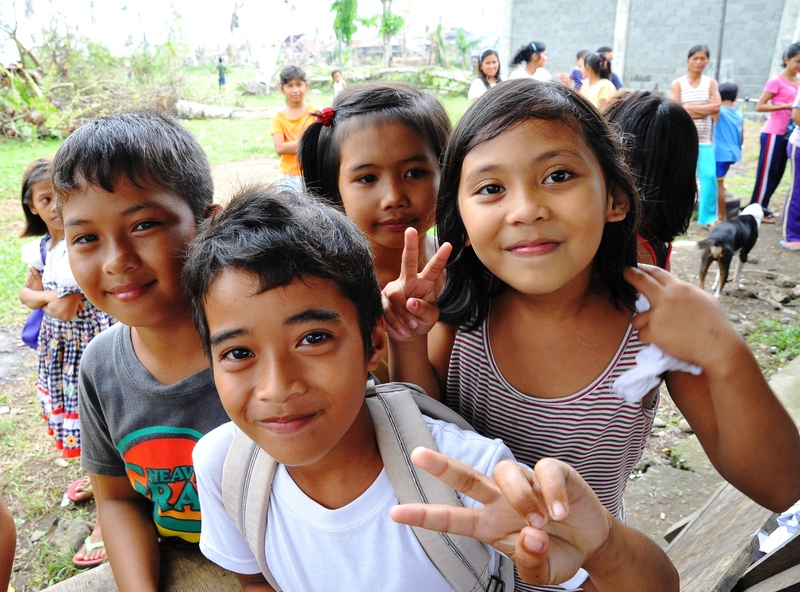 The Airbus Helicopters Foundation provided support to the international aid operation that brought relief to the people of the Philippines in the wake of Typhoon Haiyan in November 2013, making helicopters available to several aid organizations on the ground. These flights made it possible to assess the needs of people in the most remote and worst-affected areas and prioritize relief accordingly. The helicopters have also been used to transport humanitarian personnel and medicines. 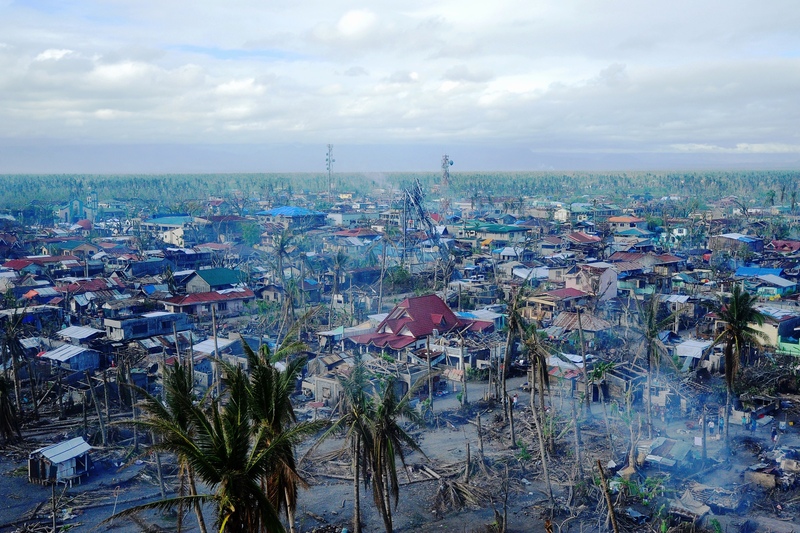 The Airbus Helicopters Foundation also already supported rescue workers in Philippines in October 2013 with an earthquake hit the archipelago. Mexico faced two powerful tropical storms which walloped the country, sending rivers over their banks, spurring mudslides and washing out roadways, causing the worst storm damage in decades. More than 1 million people have been affected. 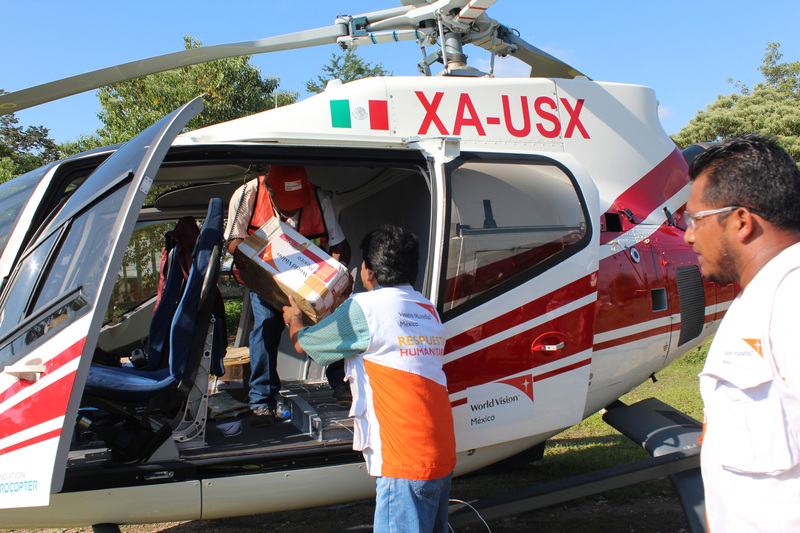 The Airbus Helicopters Foundation has provided an helicopter AS350 to help the most isolated communities and distribute first necessity products. In order to effectively manage as many crisis situations as possible, medical teams and rescue personnel must constantly improve their working practices— in particular for missions involving helicopter-borne assistance, which has proven its worth time and again. 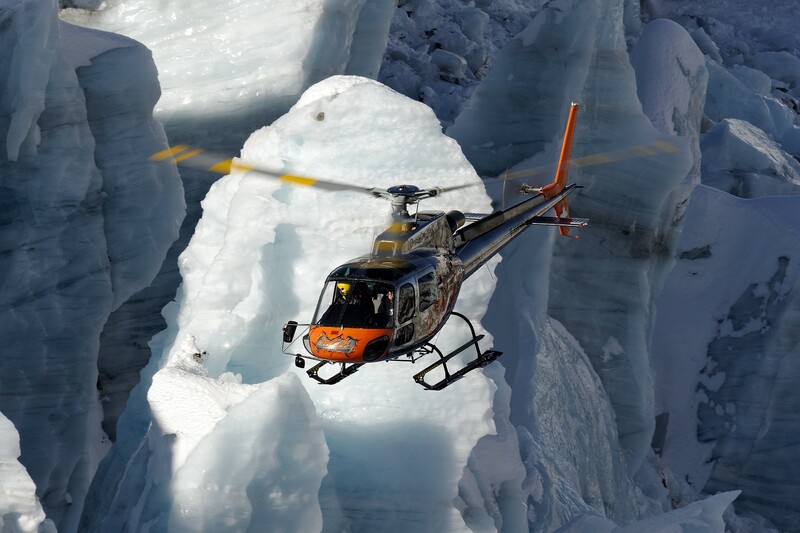 By helping emergency rescue teams get the training they need, the Airbus Helicopters Foundation is actively involved in efforts to improve the effectiveness and the safety of these missions. The Foundation provides financial assistance for projects to equip and train rescue personnel, and also supports ongoing training for medical teams in developing a specific module for disaster medicine. 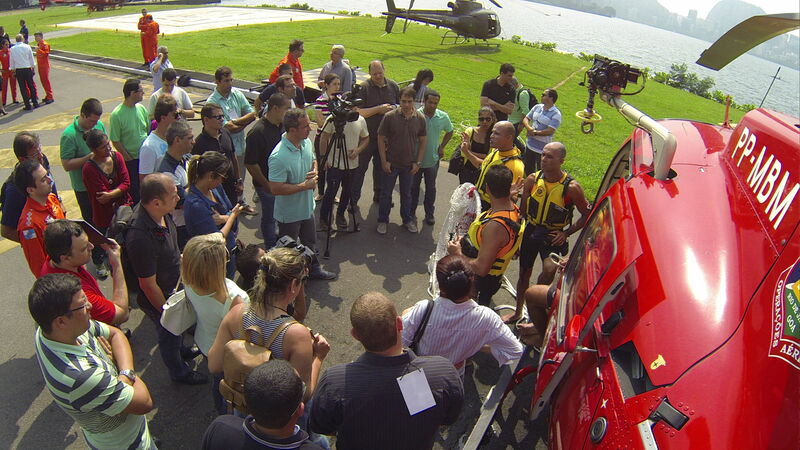 The Airbus Helicopters Foundation provided support to the Academy of Medicine Foundation for helicopter and disaster medicine training in Rio de Janeiro, September 28 to October 2, 2015. This training course, illustrated through clinical cases from real-life experiences, was given to 64 Brazilian doctors, nurses and pilots who at the time had access to 6 medicalized helicopters with various equipment and materials. They were also able to see inflight demonstrations of rescue missions. The participants expressed their high satisfaction with such kind of “HEMS training” that bring together different stakeholders involved in Brazil HEMS operation. An earlier training course identical to this one took place 18 months ago. In total, over 100 Brazilian medical personnel have benefited to date from this important training course as it aims to develop and strengthen the effectiveness and safety of medical emergency missions, allowing doctors and the helicopter pilot to work together to become a real operational team. 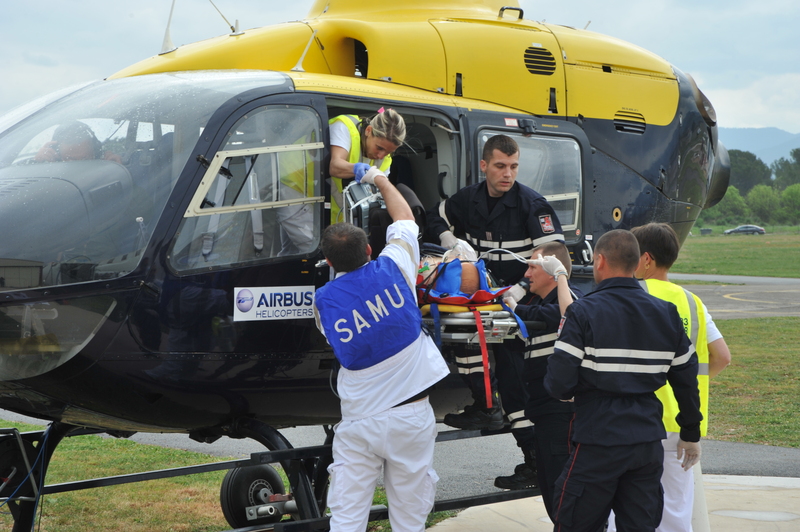 The Airbus Helicopters Foundation donated a helicopter airframe to support the creation of a medical-team training centre (SimHelimed), located near Toulon, France in order to enable realistic training of medical teams to heliborne operations. The Airbus Helicopters Foundation supports the training and the equipment of the volunteers of the volunteer lifeguards from the Société Nationale de Sauvetage en Mer (French Lifeboats and Lifeguards Association). The Airbus Group-wide Corporate Foundation was established in December 2014. Established by Airbus Group, Airbus, Airbus Helicopters, and Airbus Defence and Space, the organization’s mission is to support the humanitarian community, as well as educate and inspire young people through the world of aerospace. The Airbus Corporate Foundation accomplishes its work by developing partnerships and trans-divisional and trans-national programs worldwide in countries and regions where the Group operates. The Airbus Helicopters Foundation specifically focuses on providing support airborne rescue and assistance to populations in need and works in collaboration with the Airbus Corporate Foundation. Contact us for more information about the Airbus Helicopters Foundation. The Airbus Helicopters Foundation today expanded its humanitarian outreach by signing a high-level agreement on heliborne airlift support for the German Federal Agency for Technical Relief (THW), which coordinates and carries out operations at international natural disaster sites and in other emergency situations. Airbus Helicopters Foundation has been providing support to on-going humanitarian relief efforts following the earthquake that hit the Manabi and Esmeraldas regions in Ecuador on 16 April 2016. 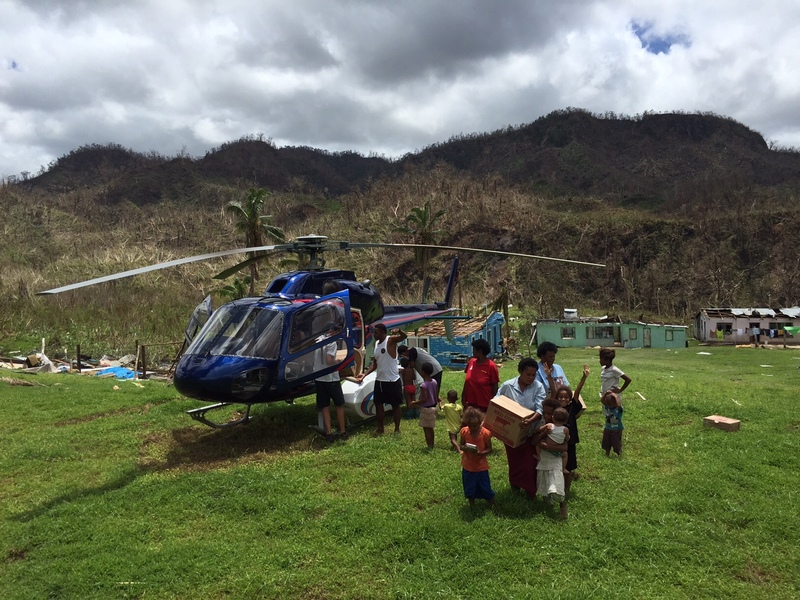 Airbus Helicopters Foundation provided support to humanitarian relief efforts following the tropical cyclone Winston that hit the Fiji Islands on 21 February 2016, killing at least 43 people and affecting 350 000 others. The disaster has left large areas of the Fiji archipelago without power, water supplies and communication and heavy rains have brought flash flooding, landslides and coastal inundation. The Airbus Helicopters Foundation has provided support to ongoing humanitarian relief operations in the small island nation of Dominica, in the Caribbean, which was recently hit with heavy rainfall and mudslides in the wake of tropical storm Erika. An H125 rotorcraft chartered by the Airbus Helicopters Foundation has joined rescue activity in Northern Chile’s Atacama Desert region, where the heaviest rainfall in 80 years has caused massive flooding and landslides.